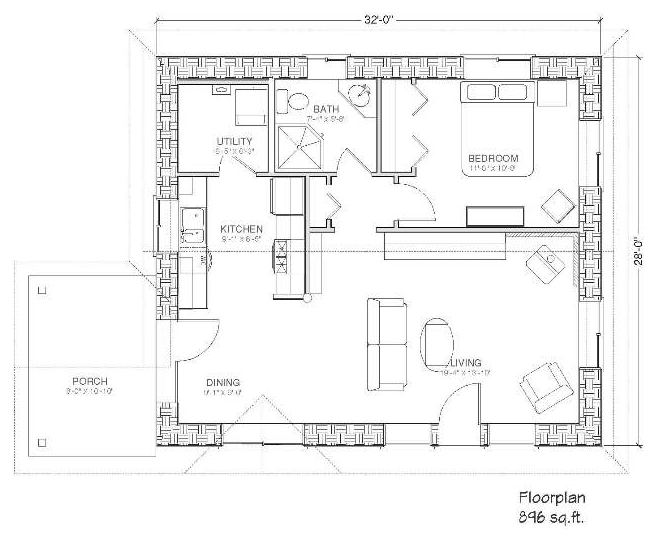 Here is an 896 sf plan made for a couple’s weekend retreat…or even full time residence. It won’t take much to heat this place in winter or keep cool in summer. It will be easy to go off grid with this one! 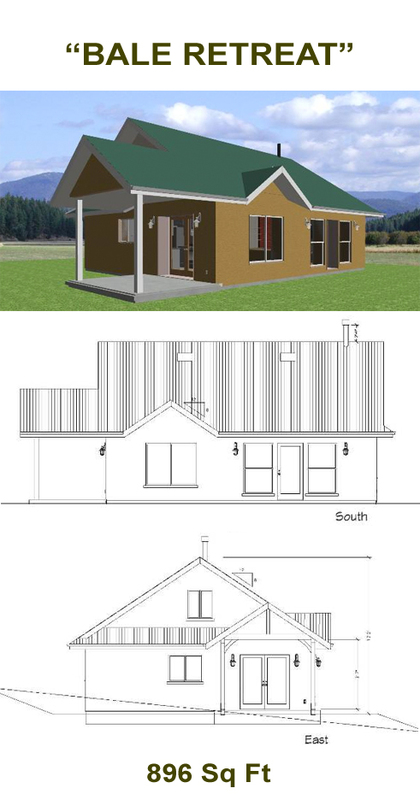 It’s also perfect for someone looking to build their own house as the overall plan is relatively simple yet yields a very functional space.